(Reuters) - Tesla's SolarCity reported a drop of nearly 40 percent in solar installations for the first quarter on Wednesday, the latest sign of a reversal in fortunes for the once high-flying residential solar industry. In an earnings report this week, Tesla said it deployed 150 megawatts of solar generation in the first quarter of 2017 compared to 245 MW in the first quarter of last year. The company, which announced last week it was curatiling door-to-door sales, said it had prioritized higher-margin projects that generate cash up front rather than trying to sell as many installations as possible. But the dramatic drop in sales for a company that had consistently delivered double-digit growth puts it in line with a broad trend affecting the rooftop-solar industry. Across the sector, installers report more difficulty finding customers. 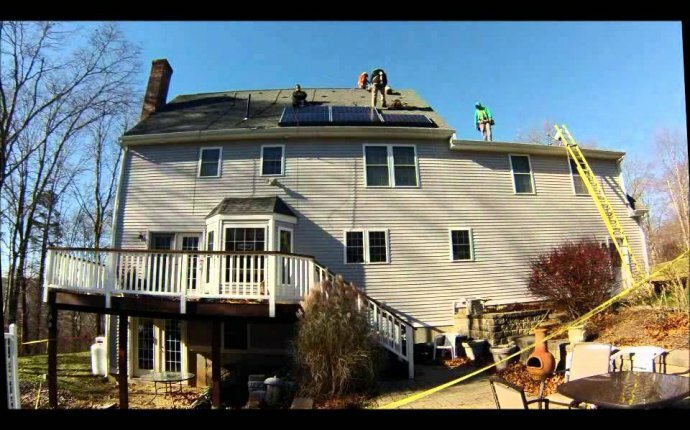 Subsidies have dwindled or been eliminated in some states, and many of the easiest consumers to sell to - environmentally conscious homeowners with disposable income - have already purchased rooftop systems. "The trendsetters are kind of gone, " Tammy Goad, vice president of corporate development for California-based Valley Energy said at a solar industry conference in San Diego on Tuesday. Stiff competition in the industry has pushed some companies out of the market, or forced them to scale back. One of the nation's biggest rooftop solar companies, Sungevity, filed for bankruptcy earlier this year. "Two years ago I thought I was a brilliant marketer. Today, I'm looking for answers, " said Kathi McCalligan, director of marketing for San Diego installer Baker Electric, at the conference. The gathering focused on customer acquisition and was put on by the Solar Energy Industries Association. Rooftop solar, a novelty in many neighborhoods just a few years ago, has enjoyed dramatic growth in recent years, including a 66 percent rise in installations between 2014 and 2015, according to SEIA and research firm GTM Research. That growth rate slipped to 19 percent last year, and the trend has worsened significantly in 2017. 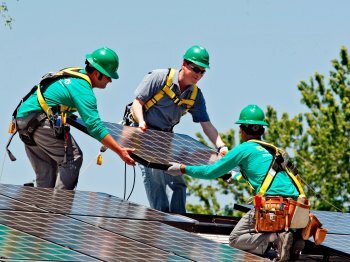 Not only did SolarCity post its worst quarterly solar deployments in nearly two years, residential interconnection requests at California's three investor-owned utilities were down 35 percent in January and February, according to state data. California makes up about half the residential solar market. Heavy rains in those months were likely to blame for some of that decline, but industry insiders say installations have not recovered as much as expected this spring. At the same time, consumer complaints about high-pressure sales tactics are on the rise, according to government and private agencies. They say that aggressive door-to-door soliciting and telemarketing have soured some consumers on solar, as have online ads promising "free solar." Solar-related complaints to the Better Business Bureau, a non-profit that promotes ethical business practices, are up 29 percent nationwide so far this year, Greg Dunn, president of the Hawaii BBB, said during a presentation at the conference. Nearly a quarter of those complaints relate to sales practice issues.